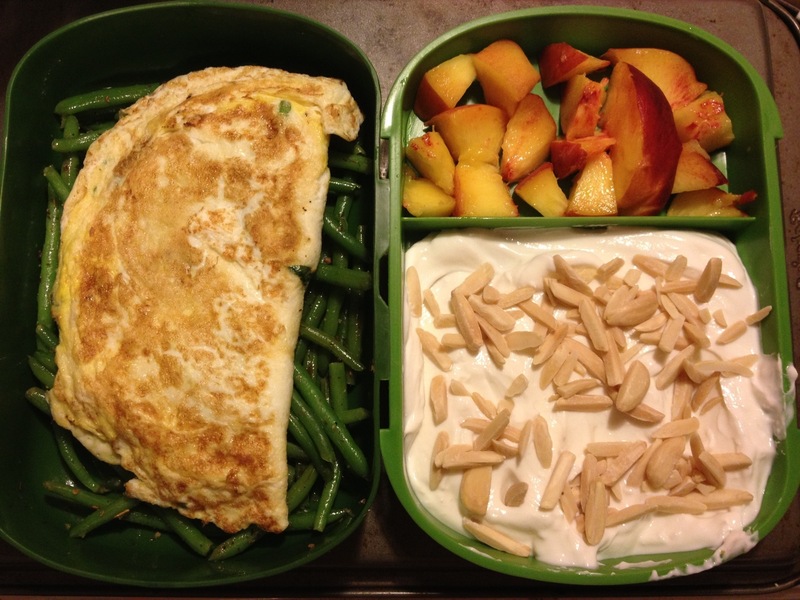 This bento tasted like accomplishment because I successfully made my first egg white omelet today! I really intended to make my scrambled egg whites with spinach and prepared everything as usual, but the mixture started to cook on the bottom in a perfect little circle. I realized I had turned the heat down just enough to cook the eggs and not make it smell like I was trying to fry them into oblivion. I gingerly lifted one side of the mass to meet the other edge and nothing broke! Hooray for accidents!